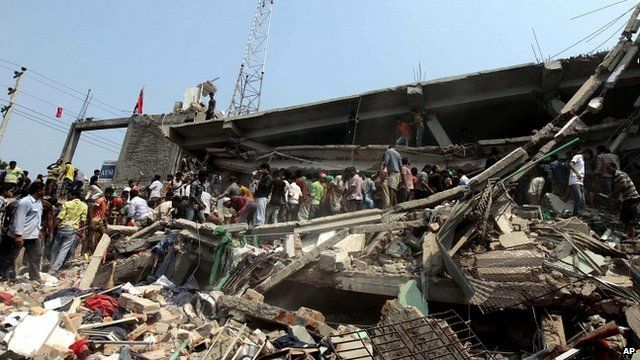 Frantic search for Dhaka survivors Jump to media player A frantic search for survivors is under way at a building outside the Bangladeshi capital, Dhaka, which collapsed, killing at least 147 people. 'In a minute everything collapsed' Jump to media player At least 87 people have been killed and many more are feared trapped after an eight-storey building collapsed on the outskirts of the Bangladeshi capital Dhaka, government officials say. Bangladesh regulations 'not enforced' Jump to media player At least 87 people have been killed and many more are feared trapped after an eight-storey building collapsed on the outskirts of the Bangladeshi capital Dhaka, government officials say. 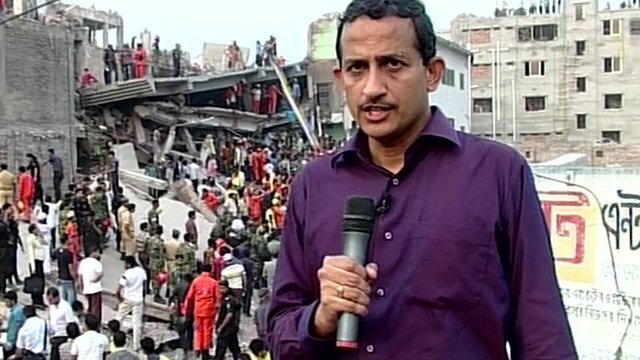 Rescue efforts under way after collapse Jump to media player Rescue efforts after under way in Bangladesh after a building collapsed in Dhaka, killing at least 80 people. A frantic search for survivors is under way at a building outside the Bangladeshi capital, Dhaka, which collapsed, killing at least 147 people. 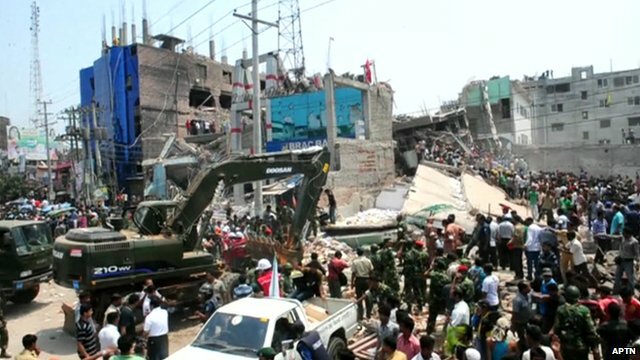 Rescue workers are working with volunteers, using heavy machinery and their bare hands to free survivors. Tens of thousands of weeping family members are gathered at the site. It is the latest in a series of incidents, raising questions about safety standards in the country's thriving clothing business, as Andrew North reports.